Who are your heroes? If you've ever been asked that question or asked yourself that question, you're likely to answer with examples of people to whom you can relate. People who are, or you might like to believe are, very much like yourself. Today is International Woman’s Day and it seems like a good time for me to ask myself, "What woman would I consider a hero?" A few names come instantly to mind, but it's certainly more difficult than choosing an example from my own gender. While a huge chunk of my brain is spent thinking about women, their names just don't jump into my head when I think about heroes. One name in particular always pops into my head when I think of women that I admire. Lise Meitner. Albert Einstein called her the “German Marie Curie.” Meitner was a Jewish female physicist in Nazi Germany. That has to be one of the rarest combinations ever. She was Max Planck’s assistant, a x-ray nurse during World War I, and along with Otto Hahn on the team that discovered nuclear fission. Hahn won the Nobel Prize for the atom splitting business while Meitner and her nephew Otto Robert Frisch, both of whom contributed to the discovery, were passed over. Meitner escaped Germany in 1938 with the help of Dutch physicists Dirk Coster and Adriaan Fokker. After the war, Meitner was critical of her fellow scientists that aided Hitler’s Germany with little or no resistance. 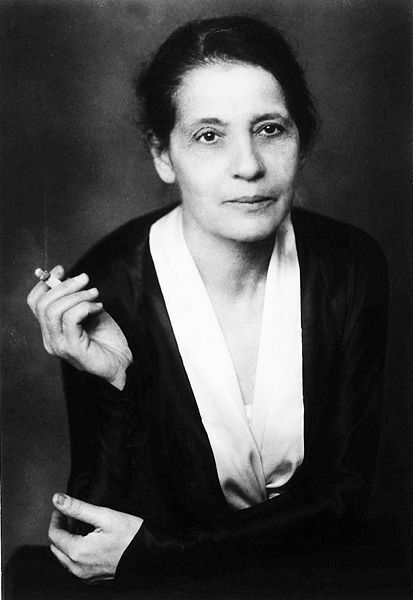 Lise Meitner lived in the age of the rock stars of physics: Max Planck, Werner Heisenberg, Albert Einstein, Niels Bohr, Erwin Schrödinger, Enrico Fermi, to name a few. While Meitner’s contributions to science were great, she never achieved the “household name” status of these other stars. Still, she was a member of a very exclusive club. Meitner lived an amazing life. In 1997, almost 30 years after her death, element 109 was named Meitnerium in her honor. Once again Lise Meitner is in an extremely elite group.